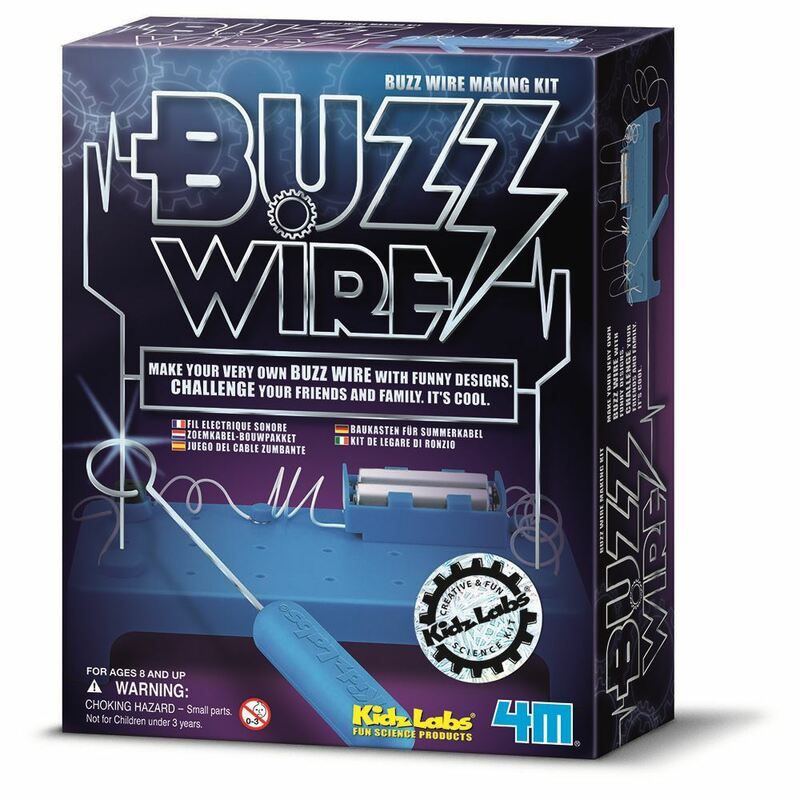 Construct your own 4M Buzz Wire and learn how to complete an electric circuit. Move the wand along the Buzz Wire from one end to the other. If the wand touches the wire, the circuit is closed, causing the buzzer to sound. Includes: a plastic buzz platform set with handle, pegs, battery case, electric buzzer, insulated wires and detailed instructions. Age 8+ years. Part of the KidzLabs range. Distributed in New Zealand by Holdson.